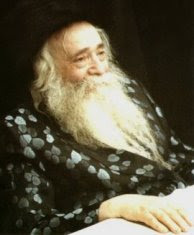 I have been asked on more than one occasion, by very different types of people, what basis there is in Judaism for the role played by the Chassidic Rebbe. I have answered this question differently to different people, but I always remember this question during the week of Bamidbar – however, I am getting ahead of myself. The Minchas Elazar in his sefer Divrei Torah (7:81) provides one source: Yitzchok. Yitzchok asks Eisav to bring him delicacies. Why? What does he usually eat? Can't Rivka make him delicacies? Why suddenly should he need Eisav to do this now? What does this act have to do with the brochos that he wants to bestow? Couldn't he provide the brochos without this strange request? And how is it that Yaakov can fulfill Eisav's mitzvah and receive the brocha? The delicacies that Yitzchok requests are Eisav's pidyon. The Minchas Elazar bases his answer on the Chida – that connecting it to a mitzva makes the brocha effective. Therefore, Yitzchok gives Eisav a mitzva of kibud av in order to empower the brochos. and, of course, Yaakov does this as well since he is simply following his mothers instructions (kibud eim). So too, a Rebbe connects his brocha with the mitzva of tzedoka to make it effective. But another source for the role of the Rebbe is found in Ramban's commentary on parshas Bamidbar. Towards the beginning of the Parsha, Ramban comments (Bamidbar 1:45, on the verse "These were the counted ones of the children of Israel" – about half way through): When counting the Jewish people…they were each brought before the greatest of all prophets (Moshe Rabbeinu) and his brother (Aharon HaKohein) – the holy unto G-d – and each individual provided his name, resulting in additional merit and life – since, through this, they placed themselves under the counsel of G-d's people and inscribed themselves in the house of Israel ( a reference to Ezekiel 13:9) … and each gained merit through their being counted by Moshe and Aharon, as Moshe and Aharon looked upon them with a kind eye and intercede for mercy on their behalf so that Hashem, the G-d of their fathers, should bless them exceedingly, and not lessen their numbers. And the shekalim that they donate stand them in good stead as a kapara (redemption) for their souls. So, the Ramban is saying, by coming before the Tzaddik and giving him our name, this brings brocha and life based on the ahavas Yisroel of the Tzaddik and his ability to elicit mercy from above. Furthermore, through the pidyonos that we give, we achieve a kapara for ourselves. "THIS," the previous Klausenberger Rebbe often said, "Is the source for Rebberay." Of course, the Klausenbeger Rebbe was also very critical of many Rebbes that may not be on that level, but we can console ourselves with R' Nachman of Breslov's comment, that there are Rebbes that are not at all worthy, but due to the emunas tzaddikim of their chassidim, their brochos are sustained. Is there a typo at the end of the third paragraph ("And how is it that Yakov can't ..." [not "can"])? Basically, the Minchas Elazar is asking here, how Yaakov's getting the brocha would work if it wasn't HIS mitzvah (- it was Eisav's)? It would seem that Yaakov was not fulfilling kibud av here, and therefore, the brochos would be worthless – because, Yitzchok is connecting the kibud av with the brocha, and only Eisav was given this request. That's why he answers that the reason it works for Yitzchok is that he was also fulfilling the mitzva - through following his mothers instructions... kibbud eim.